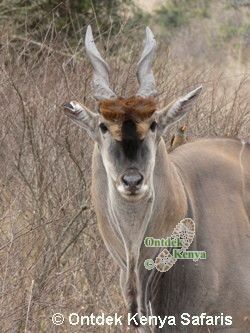 Enjoy a seniors trip in Kenya with guided game viewing walks away from away from mass tourism. It is a genuine alternative to vehicle confined seniors vacations. All walks are flexible and we provide several guides to take care of different abilities. We use quality lodges/tented camps, making this a perfect adventure for seniors of all abilities. The senior trip starts with walks in the indigenous forests of the game rich Aberdare sanctuary and the Solio ranch. Have a safari in the Solio game reserve, which has the highest concentration of black rhinos in Africa. Spend a night of wildlife viewing from the balcony of your room at Treetops - a tree hotel in the Aberdares. The vacation then progresses to scenic places in the Great Rift Valley for more game and walks in Crescent Island, Crater Lake, Hell's Gate and Elementaita with guaranteed interruptions from Giraffes, Waterbucks, Elands, Zebras and various Gazelles. A wildlife safari in Masai Mara, the Africa that every one dreams of, takes the last 3 days of the tour with Elephants, Lions, Leopards, Cheetahs, Topis and Hippos all calling for our attention. A walk guided by Masai Morans is among the many highlights in this Kenyan senior trip. Remember tours take off with min 2. We can also customize this walking vacation to suit your specific needs, please contact us. Arrival at the airport at night and reception by Ontdek Kenya. Transfer from the airport to the La Mada or equivalent hotel in Nairobi. A 3 hrs transfer takes you to Nyeri in central Kenya, home of the Kikuyu tribe. You will drive through the main farming areas of Kenya with a lot of coffee and pineapple plantations. We will make a stop at the open air Karatina market, which is the biggest farm produce market in the region. We arrive at Outspan Hotel (your base for two nights) and after settling in the comfortable rooms we will have our lunch in the veranda overlooking the garden and Mt. Kenya. This hotel was the last home of the founder of the scouts movement: Lord Baden Powell. A museum in his name is maintained and this is worth a visit. In the afternoon we will walk in the game sanctuary of the Aberdare Country Club which is only a 20 min drive away from Outspan. Game viewing will start at the gate of the Aberdare Country Club: the warthogs and impalas roam free on the golf course of the sanctuary. There are lots of opportunities to encounter Thompson and Grant's gazelles, zebras, reticulated giraffes and the biggest antelopes: elands. On their own these animals are a wonder to watch but to do so while you are walking is an experience that has always brought joy to our guests. Warning: kindly reserve your films or memory space! There is a big temptation to take all the pictures on this day but take our word: there will still be other opportunities. The Solio Ranch is an 18000-acre private reserve divided into a Rhino Sanctuary, which has Rhino, Buffalo, Zebra, Eland, Oryx, Hartebeest as well as various Gazelles, ideal for an African safari, away from mass tourism. take our picnic on a scenic spot and late afternoon transfer back to Outspan for our second overnight. After breakfast we drive to the nearby Solio Ranch. This time we do an extensive game drive in the Rhino sanctuary, which has the world's largest concentration of Black Rhinos. The White Rhino is also found here as well as the Reticulated Giraffe, Leopard, Lion and a wide range of plains, game and bird life. We will drive around in the ranch but since this private sanctuary is little visited by the main tour operators, we will not have many cars surrounding us. Back to Outspan for lunch. Our hotel of choice is Treetops, which is designed for game viewing on a 3-storey structure standing on stilts. Treetops gets its name from the original hotel in which Princess Elizabeth arrived on Feb 5, 1952 and checked out on Feb 6 as the queen of England after her father, King George died in London during the night. The game viewing is an all-night show and many visitors pass the time focused on the waterhole where among the species frequenting are elephants, rhinos, hyenas, various gazelles, warthogs, giant forest hogs, the elusive bongo and with luck a leopard or a lion may pay a visit. A three hour bus transfer takes us to the Rift Valley, where we will stay for 2 nights at the Lake Elementaita Lodge. We interrupt the ride with a visit to the Thomson Falls in Nyahururu. Optional descend to the foot of the falls (a 30 min walk). Free afternoon or visit to a Masai manyatta (=village) in the vicinity of the lodge. Here you can see how the Masais still live like they've done it for hundreds of years. Naivasha town is less than an hour's drive away from Elementaita. Here we visit the colorful market. You find everything ranging from vegetables to clothes and from hardware to souvenirs. We reach the Lake Naivasha Country Club, our base for the next 3 nights, before lunch. This lodge opened in 1937 as a staging post for Imperial Airways' flying boat service from Durban to London. The 55-acre property boasts green lawns shaded by mature acacias and spreading fever trees, which stretch down to the lake's shore.In the afternoon we walk in the privately owned Crescent Island, which is a peninsula on the Eastern shore of Lake Naivasha. There is a lot of easy to see game e.g. giraffes, waterbucks, elands, zebras and impalas. It is also a heaven for birds with +200 species recorded. The walk is gentle and satisfying. We return to the Lake Naivasha Country Club in time for afternoon tea. After breakfast we do a short transfer to the Hell's Gate National Park. This is a unique park where walking is done in the middle of wildlife. Giraffes, zebras, warthogs and many types of gazelles are found here. 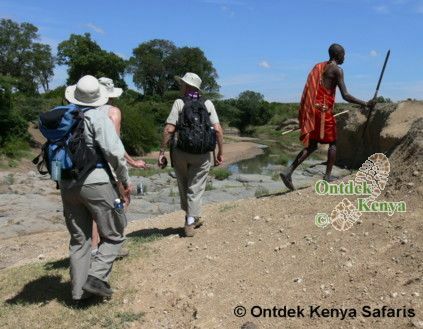 The first part of this walk is done in typical flat African savanna in a volcanic area with huge rock boundaries. There are camphor and acacia trees all over and this is where to look for the giraffe as they mainly feed on them. A picnic lunch provided by the hotel will be at the Rangers post.The last part of the walk is done in the Hell's Gate Gorge by descending into a steep canyon with running water from geysers and wild vegetation. The climax of the day is in walking in the Side Gorge where the rocks have split to leave only a walking path. We climb back to the rangers post for transfer back to the Lake Naivasha Country Club. An early rising will ensure that one gets another magical display of the various birds. After breakfast we do a transfer by bus to the nearby Crater Lake Game Sanctuary. It is a lesser lake in the Rift Valley but a place where nature is at its best.We do a circular trek on the top of the crater from where we see the lake from various angles. Pleasant interruptions on the walks will be from Giraffes, Black and White Colobus Monkeys, Elands, Hartebeests and a range of Gazelles, all which are easily found in the sanctuary. We now take a break from walking to put all our attention in African safaris. 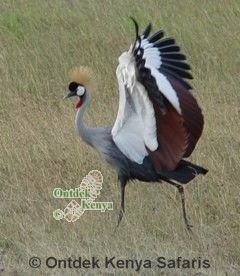 To see the best of Kenyan wildlife Masai Mara is the place to be. Elephants, rhinos, giraffes, buffaloes, gazelles and all the big cats are found here. So, after breakfast we start our journey passing through Narok Town; a colorful Masai town. Overnights will be at the Mara Simba or Keekorok lodges or the luxury tented camps of Mara Leisure or Mara Sarova. These are our cultural and activity days in Masai Mara. We do a morning game drive through the park and hike to a Masai manyatta (=homestead). Here we will see how the typical Masais live. An afternoon game drive makes the day complete. On day 11+12 we do a morning and an afternoon game drive. We break from the driving with an optional walk through the dry bush along the Talek River, always on the look out for birds and small game. Return to Nairobi in time for lunch. Day rooms are at your disposal until 6 p.m. Evening transfer to the airport where we say goodbye. Itinerary changes on the Kenya senior trip may be made due to local conditions beyond our control. PRICE: Our attractive price based on the size of your party includes all accommodation as per itinerary, all meals from breakfast of day 2 through lunch of day 13, all transport Nairobi-Nairobi and airport transfers, bottled water during the walks, services of guides, the park entrance fees and a Flying Doctors Evacuation cover. The only extras on you are spendings on airfare to Kenya, airport taxes, visa, insurance, drinks, tips and expenditure of personal nature. FOR A PRICE QUOTE: contact us. See our other seniors tours.